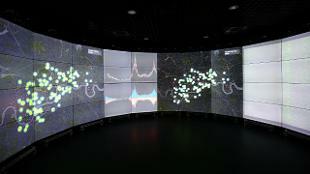 A data revolution is underway in London. Our infrastructure, services, utilities, households and citizens are producing - and indeed becoming increasingly dependent on - more and more data. This is set to continue, driven by sensor technology, the Internet of Things, machine to machine technology, and social media. To meet these challenges, London must make the most of new technologies and ensure new forms of collaboration between Londoners, government, businesses and academia. London is already a leader in ‘smart’ technology. The London Datastore, for example, (an open data platform) receives over 25,000 visits a month and over 450 transport apps alone have been created from it. We'll be showcasing London's talent in this sector by taking 9 cohort members, representing the sub-sectors of Mobility, Society and Energy and Environment, to the Smart City Expo in Barcelona this November.